Decleor Perfect Sculpt Divine Rejuvenating Cream is a wonderfully rich body product combines the firming effectiveness of a unique cocktail of eight Essential Oils and the Phyto-Firm Complex, for a visible and proven anti-ageing result. 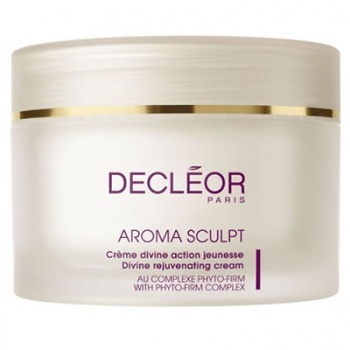 Decleor Perfect Sculpt Divine Rejuvenating Cream has a precious skin care action that stimulates the vital functions of the epidermis, thus helping to provide complete action to combat the main causes and consequences of sagging and ageing skin. It drains and lifts to leave the body smoother and more toned.